The best way, before visit the lady in Russia or Ukraine is to see and hear her by taking advantage of our webcam service. 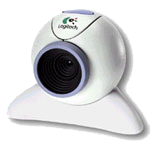 Pictures gives you a first impression of the lady’s appearance, but videoconferencing will let you experience her in a real life way that photos alone could not match. If needed our translator will available during your video session. We provide technical support for the service; you will receive all instruction after purchasing time. It is very simple and easy. To find out which ladies can be viewed by Skype please go the search system of our site and choose “Videoconference” case to see the ladies who are available.